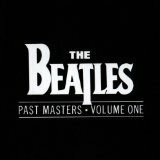 The Beatles Box Set (compilation) (1988), Rock 'N' Roll Music (compilation) (1976), Past Masters - Volume One (this album) (compilation) (1988), Past Masters (compilation) (1988), Live At The Hollywood Bowl (1977), Anthology 1 (compilation) (1995), The Essential Beatles (compilation) (1972), Live At The BBC (compilation) (1994), On Air- Live At The BBC Volume 2 (compilation) (2013), The Beatles' Second Album (1964). Showing latest 5 ratings for this track. | Show all 50 ratings for this track. Related links: top tracks by The Beatlestop tracks of the 1980s, top tracks of 1988.